All you need is LOVE... and a little chocolate. 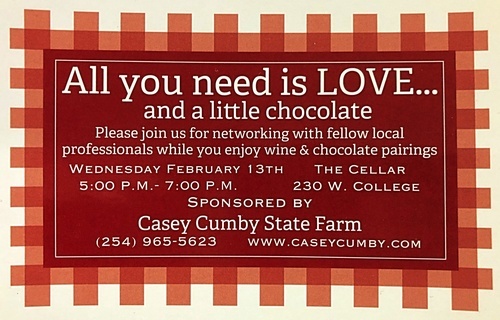 Please join us for a networking happy hour with fellow local professionals while you enjoy wine & chocolate pairings. Sponsored by Casey Cumby State Farm.